• As it turns out, we were all wrong. 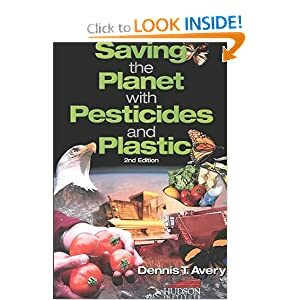 "Saving the Planet with Pesticides and Plastic" is a real book by Dennis T. Avery of The Center for Global Food Issues - an agribusiness-funded organization run by the Hudson Institute. It was originally published in 2000. If saving the planet by destroying it does not work, then maybe a giant, patriotic bald eagle or butterflies can save it instead. • Ask Gene! Gene Baur, President and Co-founder of Farm Sanctuary, vegan, activist, and best-selling author - will be taking questions today and tomorrow on his facebook page. If you have any questions for Gene, who is a personal friend and certainly a Discerning Brute, please feel free to post them HERE. Ask about anything from life on a farm sanctuary to rescuing animals, to food and politics. Gene is a genius! With Thanksgiving right around the corner, you should also consider sponsoring a Turkey! • Need an excuse to go to Montreal? How about up to 90% off Matt & Nat accessories, including some great mens stuff?